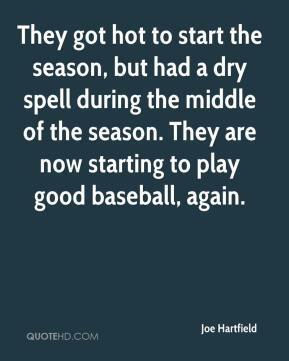 They got hot to start the season, but had a dry spell during the middle of the season. They are now starting to play good baseball, again. 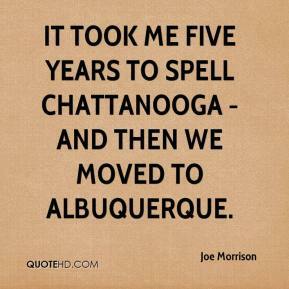 It took me five years to spell Chattanooga - and then we moved to Albuquerque. 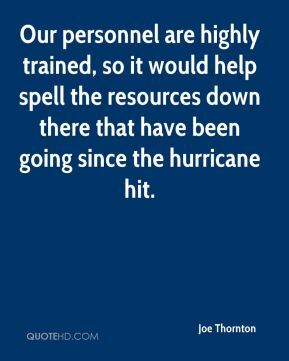 Our personnel are highly trained, so it would help spell the resources down there that have been going since the hurricane hit. 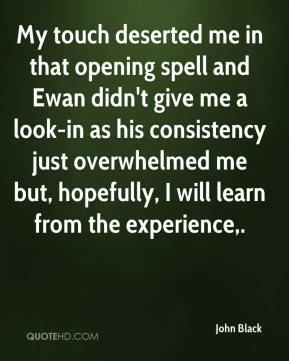 My touch deserted me in that opening spell and Ewan didn't give me a look-in as his consistency just overwhelmed me but, hopefully, I will learn from the experience. We hit that dry spell to start the third quarter. That's happened to us before. We always talk about that being the most important segment of the game. 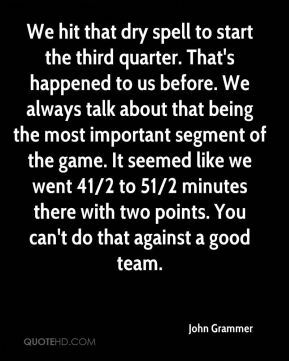 It seemed like we went 41/2 to 51/2 minutes there with two points. You can't do that against a good team. 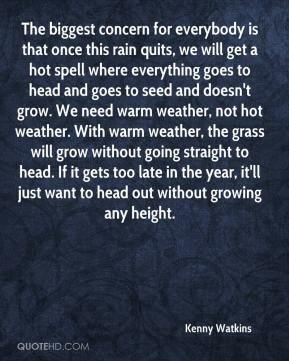 The biggest concern for everybody is that once this rain quits, we will get a hot spell where everything goes to head and goes to seed and doesn't grow. We need warm weather, not hot weather. With warm weather, the grass will grow without going straight to head. If it gets too late in the year, it'll just want to head out without growing any height. People thought we were a 'finesse' line. 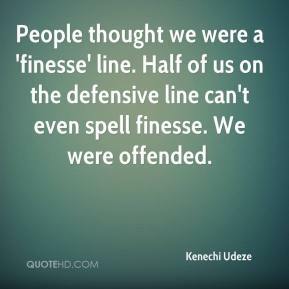 Half of us on the defensive line can't even spell finesse. We were offended. 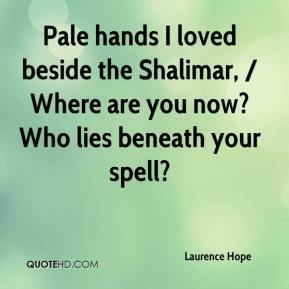 Pale hands I loved beside the Shalimar, / Where are you now? Who lies beneath your spell? We view risk differently. 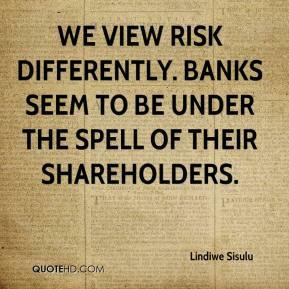 Banks seem to be under the spell of their shareholders. So, all right, I can't spell. 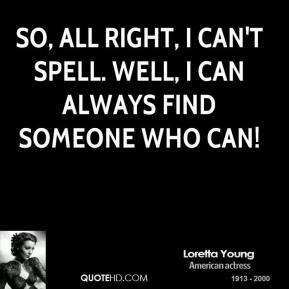 Well, I can always find someone who can! 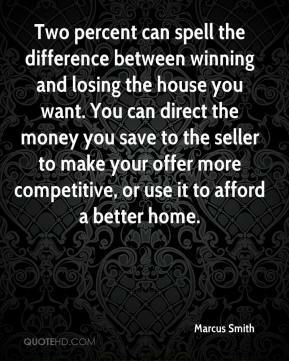 Two percent can spell the difference between winning and losing the house you want. You can direct the money you save to the seller to make your offer more competitive, or use it to afford a better home. 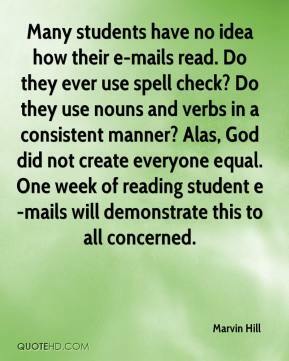 Many students have no idea how their e-mails read. Do they ever use spell check? Do they use nouns and verbs in a consistent manner? Alas, God did not create everyone equal. 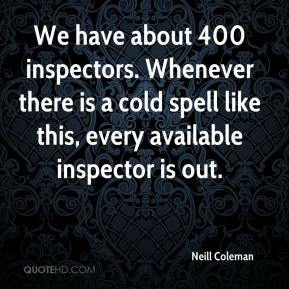 One week of reading student e-mails will demonstrate this to all concerned. 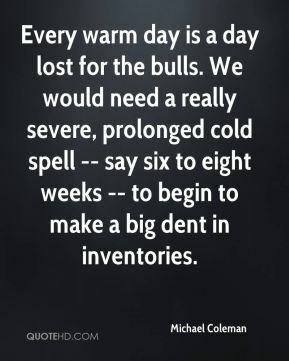 Sometimes a player of his caliber goes through a long dry spell. 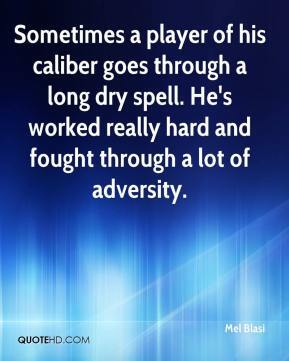 He's worked really hard and fought through a lot of adversity. 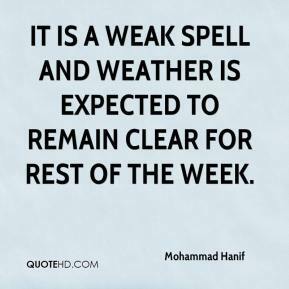 It is a weak spell and weather is expected to remain clear for rest of the week. How do you spell 'disaster'? 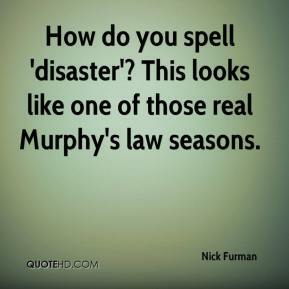 This looks like one of those real Murphy's law seasons.